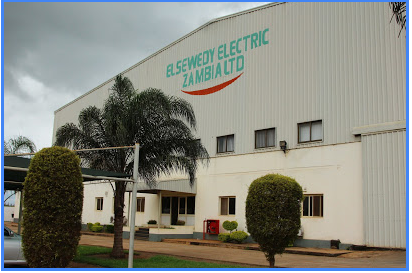 Elsewedy Electric Zambia Ltd., Ndola, Zambia, Oct 2018. Image courtesy of Mr Ahmed Abolazm. Mostafa Abdelaal is a PhD student at the University of Cambridge and Assistant Lecturer at the Institute of African Research and Studies at Cairo University. For many decades Zambia has tried and failed to add value to its market-dependent copper output by establishing local manufacturing of copper products. Today, the Egyptian company Elsewedy Electric has established production of copper-based products to supply the local market with electric components which are the first of their kind in Zambia. Does this represent a model in which African investment can provide mutual benefits for both the company and for Zambia? How can African investment be encouraged in Zambia and in Africa more ideally? 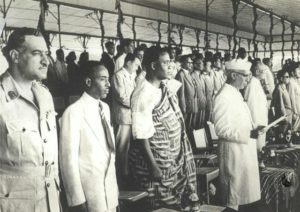 The idea of ‘South-South Cooperation’, originally proposed at the Bandung Afro-Asian conference in 1955, sought to challenge the neo-colonial order and overcome newly independent countries’ dependency on minerals and monocrops, by growing economic relationships between the countries of the global south. However, most African governments were unable to establish competitive local industries and remained dependent on exports of raw materials with little added value. The recent (and still growing) Chinese investment in Africa has again highlighted whether such investment can enhance the economic status and development of African countries, or if it simply replaces traditional western exploitative investment with a new Chinese variety. Meanwhile, intra-African investment remains low. Even with regional structures such as the Common Market for Eastern and Southern Africa (COMESA) – whose members include both Egypt and Zambia – significant barriers remain to trade within the continent. Elsewedy Electric’s story offers insights about the possibilities of making Africa more mutually dependent and beneficially integrated. The Egyptian company ‘Elsewedy’, named after its Egyptian founder who started selling light bulbs in the 1930s, turned to copper cable manufacturing in the 1970s. The company expanded its projects worldwide, mainly in Africa, and its sales reached US$2 billion in 2010. Elsewedy extended its copper-based activities to include cable manufacturing, as well as components such as electrometers and oil-immersed distribution transformers. 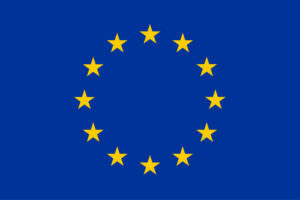 Elsewedy managed to establish many projects in African countries, mainly in Sudan, Nigeria, Ethiopia, and Algeria. In 2008, Elsewedy started work in Zambia after the agreement between their then presidents Mubarak and Mwanawasa to enhance Egyptian investments in Zambia. Elsewedy was granted land in the industrial area of the Copperbelt city of Ndola to produce electricity meters and transformers to supply the local market and – more ambitiously – to export to southern African neighbours. A partnership was established with the Zambian electricity supply company ZESCO, which held 40% of the shares to Elsewedy’s 60 %. The current value of the Egyptian company investments in the supply and delivery of oil-immersed distribution transformers has reached US$43 million. Although the company was initially run by Egyptians, today 90% of its workforce is Zambian: it employs approximately 120 highly-skilled workers, while Egyptians hold the management positions. In this way, it has managed to supply the Zambian market with locally manufactured goods such as electrometers, lamps, and transformers. But what is missing in this story? When the Egyptian company first invested in Zambia, its intention was to establish one of the biggest copper cable manufacturing facilities in Africa. After evaluating the project, it concluded that this was not possible in the Copperbelt, due to the high costs of production and transportation in the region. Elsewedy instead chose to produce electrical devices which require technology and skilled labour. This copper-based industry was seen to create incentives and linkages that could transfer raw copper into an intermediate component to feed this industry. However, the missing link in the copper value chain is still missing even in this case, since all the copper components which are used in Elsewedy ’s products have to be imported from outside Zambia. This case study of an Egyptian company acting as an African investor in Zambia highlights the fact that African governments, alongside international institutions, can enhance economic development by removing barriers and creating incentives for African investment in copper-based industries and light manufacturing in Zambia. This has the potential to created sustainable forward and backward linkages for the copper industry. It is possible to see growing relations among emerging markets that have the potential to enable a new South-South cooperation, and international institutions such as the IMF could do more to encourage investments between developing countries in Africa. Much remains to be done, however, to establish a comprehensive copper value chain that will fully realise the value of Zambia’s mineral assets for the country’s development. I thank Mr. Mohamed Hassan the General Manager of Elsewedy Electric Zambia Ltd., and Mr. Ahmed Abolazm the Planning Manager for allowing me to visit the company plant in Ndola on the 4th of October 2018.